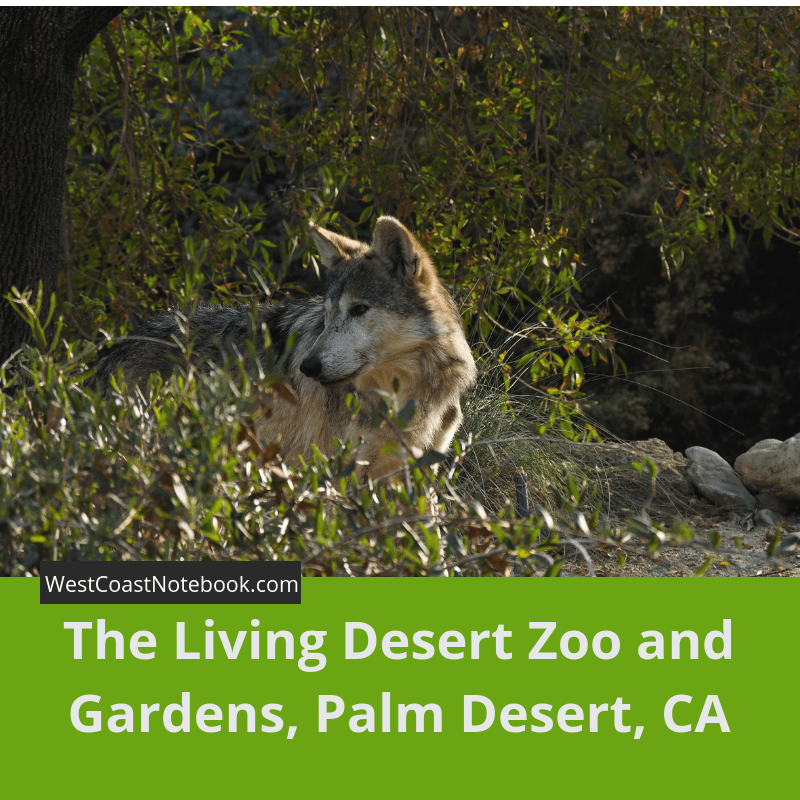 The plan for the day was were going to do a walk around the zoo and then do a circular route through the San Bernadino National Forest to end up in Palm Springs for the night. But… plans changed as we walked around the zoo for over 4 hours. The zoo was amazing and I highly recommend it to people who are visiting this area. 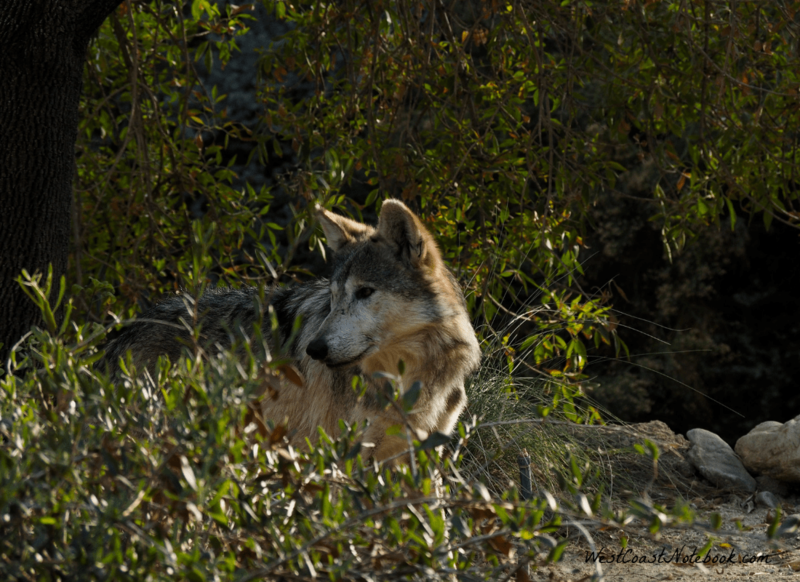 They have a large conservation project happening where they are breeding stock of endangered species and have helped bring the Mexican wolf back from extinction. 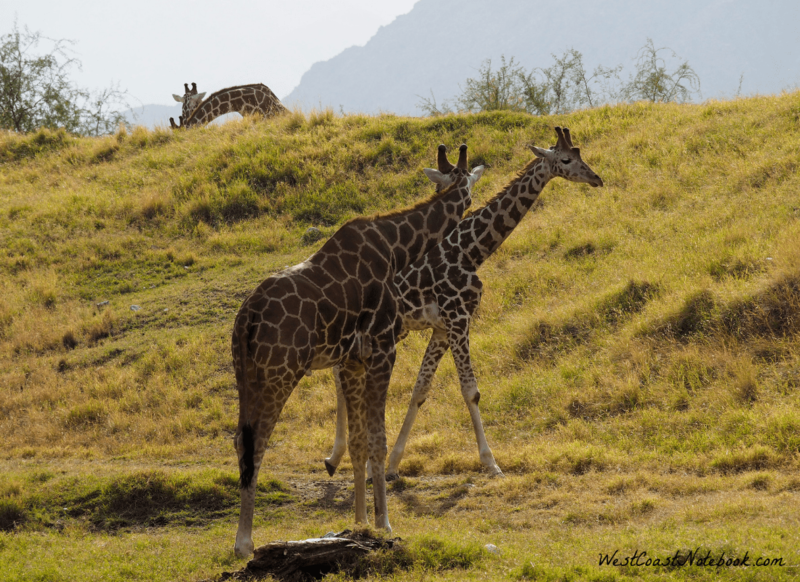 There is an African section with animals like giraffes, camels and zebras that are all housed in large pens with natural habitat. The giraffes are in this green valley that you look down on with rolling hills. You can only see the few that are out front, but you can see the heads of other over the hill. You can buy carrots to feed them and there was a lineup for that privilege. 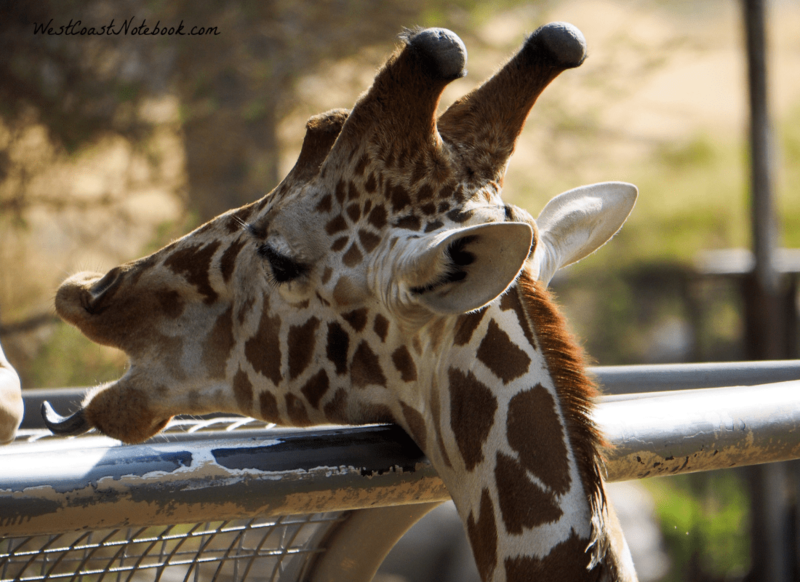 The giraffe would curl their tongue and grasp the carrot like using a finger. They were huge and really beautiful. 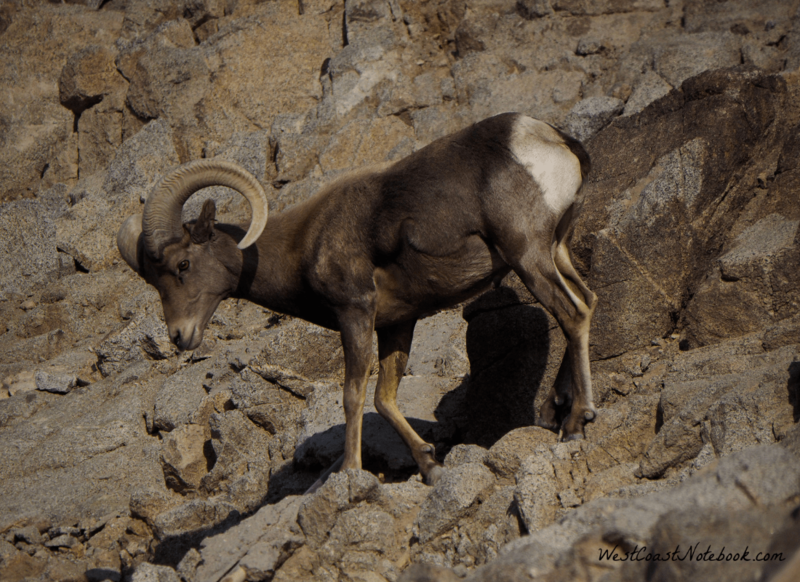 We saw so many animals it was amazing, but one of the coolest things was the Bighorn Sheep. There was a huge natural mountain in the zoo where the Bighorn Sheep could go anywhere on. We were lucky to have them down near the bottom, but lots of time they can’t be seen and they blend in with the rocks to well. The cheetah was a no-show, but I think we go to see just about everything else. 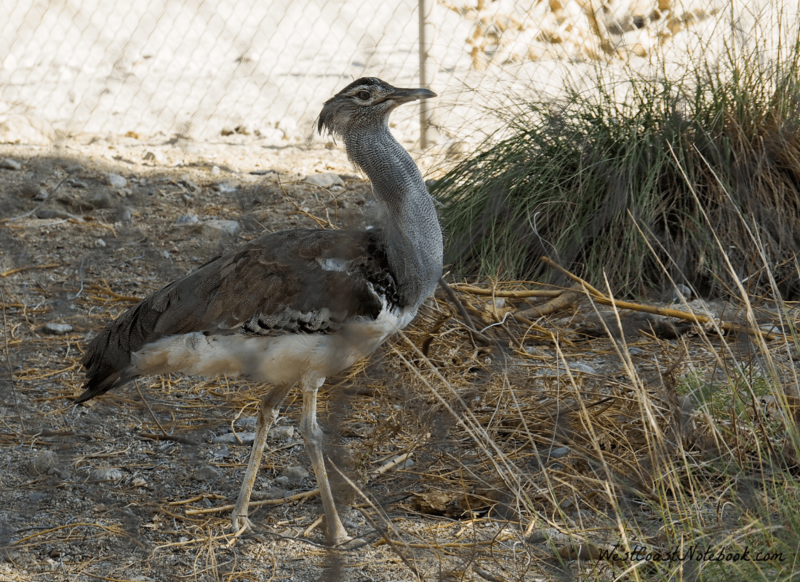 There were exotic birds but in most of the pictures, you are looking through cage wire. 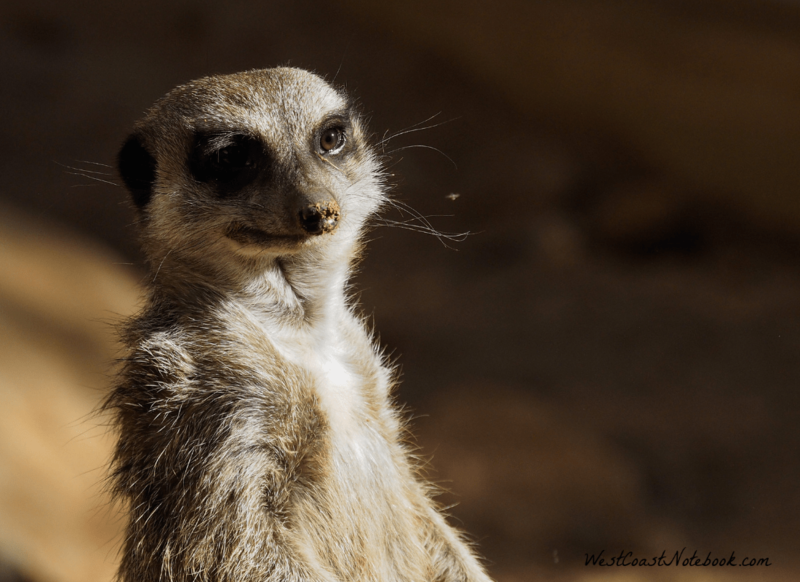 Meerkats were just adorable as they sat upon their bottom and looked around. I couldn’t take a picture of every animal, so if you want to see a full list and pictures you can click here. 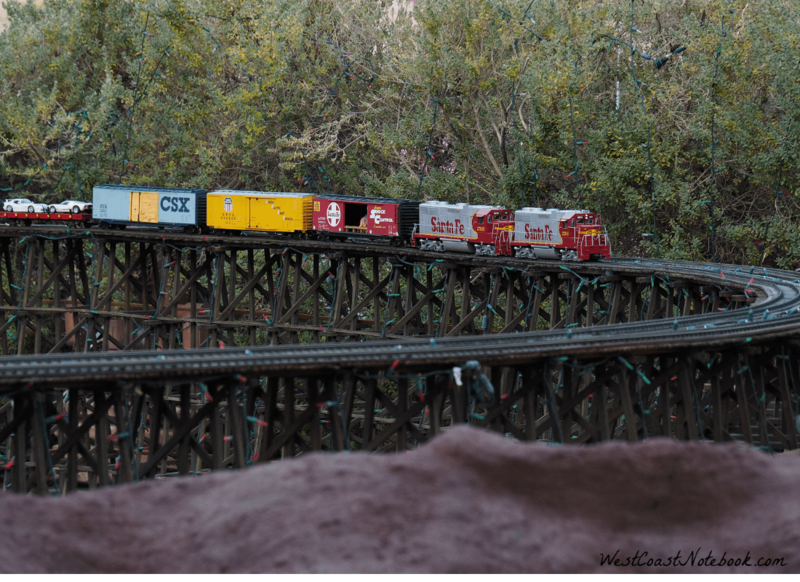 Near the very end of the zoo, there was a huge train track set up with villages and covered bridges… the works. I could have watched it for hours. The setup was about 200 ft long and 50 ft wide and there was so much happening in it. Great place for adults and kids alike. Leaving the zoo we now were too late to do the circle route so we just headed to Palm Springs. Now… I need to put in a disclaimer here from my perspective. There is so much talk about water conservation in California and how bad the drought is. 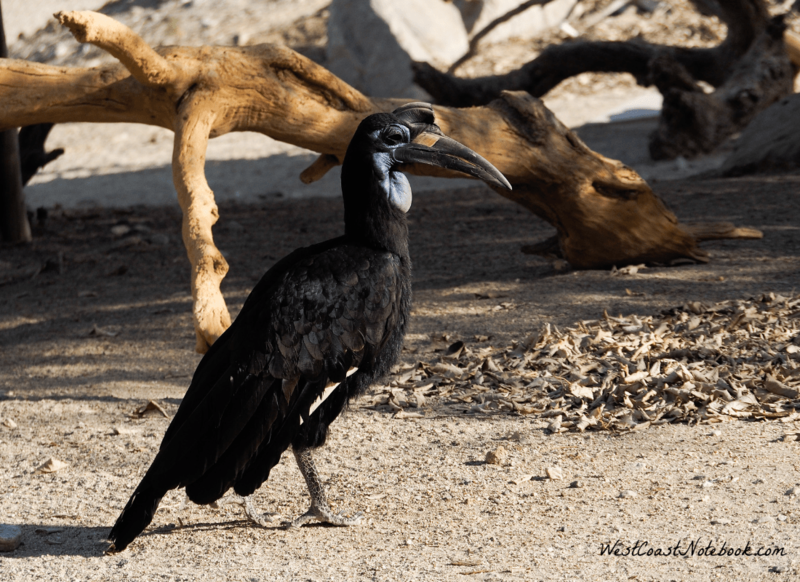 From Indian Wells, through Palm Desert to Palm Springs, they really could use some incentive to save water. Everything is green. Even the verge beside the road is green. There is so much green that it must take an unbelievable amount of water to keep it so as once you get out of town everything is desert again. Okay… that was my rant for the day. Making it to Palm Springs we couldn’t find anyplace to stay on the roads we were travelling. The good news is we did find a “Jack’s” to have lunch/dinner. The traffic on the road the day before Thanksgiving was bumper to bumper and we finally arrived at Banning and found a room for the night.